Order at www.createspace.com/3739335; Amazon.com, Barnesandnoble.com and other online sites! The journey of this book began officially in May of 2003; with several pit stops along the way. During that year, I had been laid off from a major insurance company and ﻿really was ambivalent about getting back in the workforce. Yeah, I got my resume out immediately and went to several outsourcing events. In light of the current economic situation in this country; it was not easy in 2003 to land a job right away, so I decided to study Real Estate as a counter. 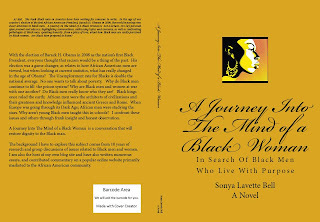 A Journey Into The Mind of a Black Woman was the title I chose...with the subtitle: In Search of Black Men Who Live With Purpose. Why the title? Well...for many years, I had observed the negative behaviorial tendendicies of young Black men and as a Black woman; I wondered if they were conscious of what they were doing to themselves, their community and to the women that loved them? 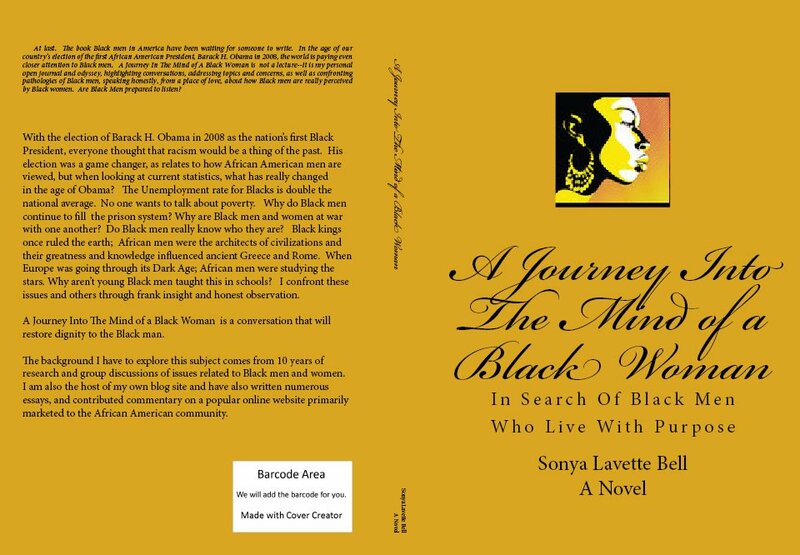 Years earlier, the genesis of the book began on Blackvoices in discussions that I created. From those discussions, I was able to witness the pathology behind the mindsets of many Black males and Black women. Those conversations, debates and exchanges motivated me to use positive discourse as a measure to get deeper as to the causes of the breakdowns in communication that seems to exist between Black men and women today. Many of the participants would often motivate me to write a book. I made a mental note of it, not knowing that circumstances would present themselves in the future that would prompt me to do just that. When I got laid off...literally, a little voice inside of me said...write the book. I knew it was time. On December 30, 2011; that book was released to the world. This is not a book by yet another angry Black woman...This book is for Black men who are motivated by Power and want to EMPOWER! I wrote it after many years of observation with the motivation of saving lives. Everyone wants to know what Black women are thinking. Well, I decided to tell them. It's raw, uncut and unapologetic. NO! It's not the rant of an angry Black woman, but one who has made intelligent analysis of why so many Black males in America seem to be lost. It's a wake-up call. And it's my prayer that I can get through to them. *Help make this book a number one best seller. Power Is What Motivates Me! Ever since I was a small girl; I have been attracted to power. I didn't know it then; but I realized as I began to get older that my natural inclinations were not to be popular; but POWERFUL. Power is the game of the mighty and I understood this from an early age. 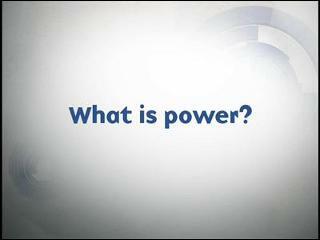 What is power? Simply put: it is the ability to do something powerful or act in an authoritative way, esp. as a faculty or quality. Someone once said that Black people don't understand power and that is why we as a people continue to be marginalized in certain areas. This may be true to some degree, but I do believe that many Black people are very much aware that a game is being played in this world and to win; one must understand how to master it. I've always been interested in great leaders and intrigued by their ability to inspire multitudes of people. This is how I live every single day. I don't care about anyone liking me...but know this: I'm not interested in being liked as much as I am focused on being relevant. One must have power to EMPOWER. And this is my goal. "Father in Heaven...you are my strength, my joy and my help. Oh-oh, Lord, you are my friend." These words came through me, as the sun came out. 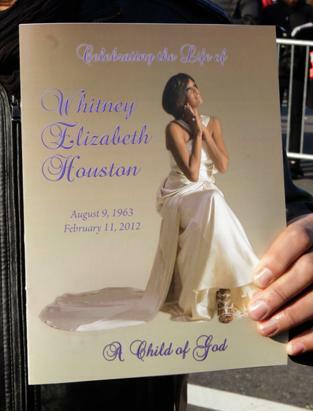 I'm re-watching the Homegoing Service of Ms. Whitney Elizabeth Houston. The organ is playing and now...the choir is getting ready to sing. Yesterday, I was at work, and I took an extended lunch to watch the service. Barely 20 minutes in, the tears flowed. My coworkers and I were all wiping our eyes. It brought me home. You see, Whitney was like me: a neighborhood girl. She was a good child, from a good family...and she went to church, like many African Americans did when I was growing up. My heart was moved--my spirit stirred. She deserved this type of tribute and I don't blame her mother for insisting that it be no other way. You see, the world wants to talk about the negative things about Whitney, but Mama Sissy knew her own child and she's telling the world, via Whitney's true friends, family, and colleagues that knew her...who she was. The woman in that casket had character and like only a mother can; the media was not going to disrespect her child. Invitation only. That's right. You betta mind your manners today. God gave us an angel. He lent us one with a golden voice who loved the Lord. And what a wonderful thing to know that this Megastar carried a Bible with her everywhere she went. Who knew. All of the singing was wonderful. R. Kelly sang the song he wrote for her, I Look To You on her comeback album in 2009. He shook up the church. And my coworkers and I cried again. I really don't know what else to say...but one thing I know, Whitney Houston was a gift to the world and now she's gone back home. But one day, we'll see her again. My God! Just two weeks after the loss of Soul Train Creator/Innovator, Don Cornelius; we've lost another great one. Sunday morning began as it always does for me; but at around 9:45 a.m. I learned of the death of Whitney Houston on CBS This Morning. Her life read like a movie script: Young kid sings in the choir--like many great R&B artists did. Gets discovered at 16 by a music mogul(Clive Davis); gets signed to a major record deal. Her mother is a gospel singer and sings background for Elvis Presley--The King of Rock-n-Roll. Her godmother is the Queen of Soul, Aretha Franklin. Her cousin is the legendary Dionne Warwick. ﻿To top all of this off, her debut album sells over 25 million copies worldwide--and she becomes a legend before her second album. And then stars in 3 very successful movies. This woman was born to sing. But as with us all, she was human. I've heard all of Whitney's songs since she came on the scene almost 30 years ago. Witnessed every moment in her famous life and saw all of her videos. She leaves behind an incredible body of work--no question. But what bothers me at this moment is the anger that I feel regarding her death. This woman should not be in a morgue this morning. What happened to Whitney Houston is what could happen to anyone--she allowed someone in her life that became the catalyst to this tragedy. Yeah, I'm talking about that demon ex-husband of hers, Bobby Brown. 20 years ago, they married. When I heard the news, I didn't even want to believe it. And my reaction at that time was most indignant. I stated to friends that she had made the biggest mistake of her life and would regret it. Frankly, I didn't think the marriage would last 2 years--it lasted 15. Of those 15 years, Whitney was addicted to drugs and alcohol for at list more than a 3/4th of the marriage. It was a disaster to say the least. Sometimes in life, walking away from someone or something is a smart move. Whitney Houston had a perfect life before she met Bobby, but after they became a married couple; her life spiraled downward. Someone once said to me that if you get too close to toxic waste; one can become contaminated. And I honestly feel that when Bobby Brown entered Whitney's life; a dark cloud hovered over her; intercepting all of her blessings. Bobby Brown's curses fell onto her. How could I have known that my words would prove to be prophetic? I couldn't, but what is clear is that a woman who had everything has lost a battle. Sadly, the only time people had talked about Whitney of late is because of all of her struggles. Perhaps we all should have been praying for her more, but there are times when demons are hard to expel and will claim the life of their host. Whitney, wherever you are...We will always love you. On February 1, 2012, I decided to chill out on my day off. My weeks are typically hectic and I don't spend a lot of idle time doing nothing, but that day, I was a little tired and wanted to kick back. I watched all of the typical daytime shows, People's Court, America's Court, Judge Mathis, etc., but later in the day, I checked out some old Soul Train episodes that come on on the new Bounce TV. It brought back so many pleasant memories from my childhood. I thought of my aunts and uncles who were the same age as some of the dancers that were on Soul Train and I remembered my late aunt Ceil who used to get so exited when Soul Train came on. She's dance in front of the television--getting everyone in the family going with her moves and excitement. She died at the age of 54 from bone cancer in 2007. There have been other family members that have passed away in the last 8 years, and watching Soul Train that morning, made me remember them when they were young. That was their generation. What made Soul Train so special was the dancing, yes, but really, it was about Black people: how we danced, dressed and basically, how we GOT DOWN. Dancing was how we related to one another and the originality and innovation that was displayed on Soul Train was a representation of our creativity as a people. Don Cornelius, the shows creator, producer and host, basically wanted to create a show that was for Black people at a time when you didn't see a lot of Black folks on television. To understand Don, you have to know where he came from and what he did before Soul Train. He was born in Chicago, Illinois on September 27, 1936. Graduated from DuSable High School in Chicago, Illinois, in 1954. He joined the United States Marine Corps and served 18 months in Korea. Before he was a television host, he did everything from announcer to news reporter to disc jockey. He was discovered by WVON Radio personality Ed Cobb. In the mid-1960s, Cobb while driving ran a traffic violation and was pulled over by Chicago Police officer Don Cornelius. While officer Cornelius was asking him the typical traffic stop questions, Cobb noticed his unique speaking voice and told him that he was in the wrong profession. Cobb suggested that Cornelius come down to the radio station and make a demo tape. Don took him up on it and was hired as an announcer. He used $400 of his money to produced and create "Soul Train" (1971), which was an African-American dance program. 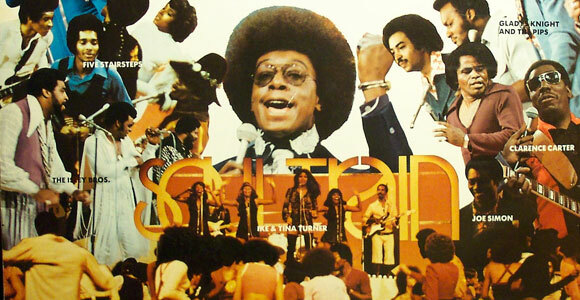 Hosted "Soul Train" (1971) for 22 of the shows 35 years. In that time, he introduced many unfamiliar artists to a larger audience who would go on to become even more successful, among them are: Gladys Knight (his first guest), Michael Jackson, Aretha Franklin, Barry White, Melba Moore, Al Green, Donna Summer and Mariah Carey. What I remember about Don basically is that he represented what he hosted: Black pride. Black dignity and Black power. That deep voice. So cool and collected. He was the epitome of a strong Black man and that is what I will cherish most. My Saturday mornings were special because of this man's vision. I enjoyed watching Soul train and when I learned of his death (suicide); it literally ruined my day. It hurt. We've lost so many greats in the last 25 years and Don's passing was sort of the ax in the stump. I don't know what was going through his mind when he made the choice to end his life, but if I could talk to him, I'd tell him that when Black people remember him--they remember our culture when it really felt good to be Black.